A student of Tsukioka Yoshitoshi (1839-1892), Toshiaki was born in Fuse village, Yamanashi Prefecture, west of Edo. He was better known as a traditional Japanese painter than as a woodblock artist. 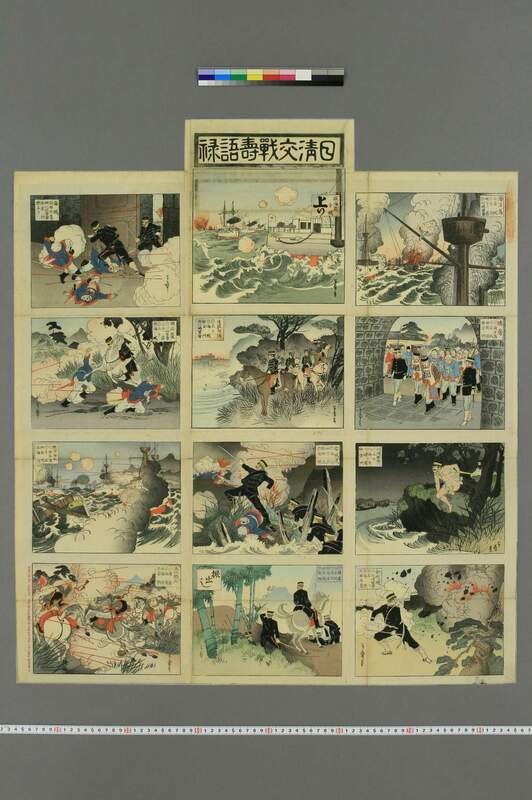 His specialties were bijin-ga; images of both historical and contemporary people; action scenes, including triptychs and an album of prints (see below) of the Sino-Japanese War, which showed his excellent drawing ability.